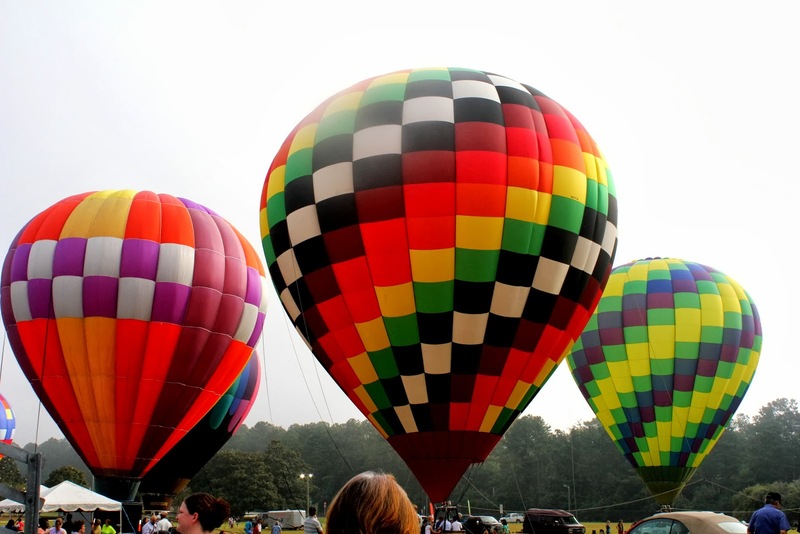 Hot air balloons and I seem to enjoy a last minute relationship. Maybe it’s because in and of themselves the balloons seem to evoke a sense of spontaneity that is often absent from my planned and scheduled attempts at motherhood, or maybe it’s just simply because if I ponder a decision involving gas money, restaurants, and extra cash for too long, I talk myself out of it. I’m so glad I didn’t back out of this one. 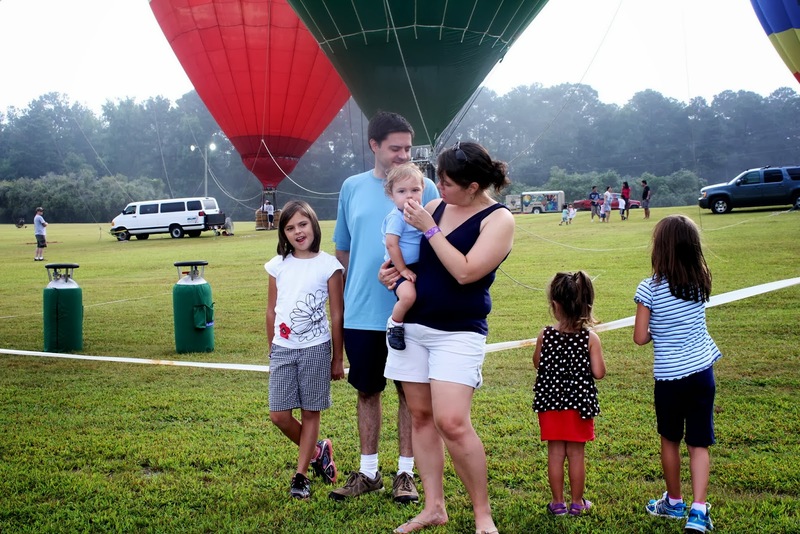 Callaway Gardens was hosting a weekend of balloon themed festivities and admission was half-price if you arrived before 9 a.m. So on Friday evening, we put on hold everything that was wringing our life out and gave ourselves over to children and friends and sunshine. We slept over at with our friends Brooke and Matt, who are are the kind of friends who don’t mind when you call at bedtime on Thursday night to say you’ll be there tomorrow. 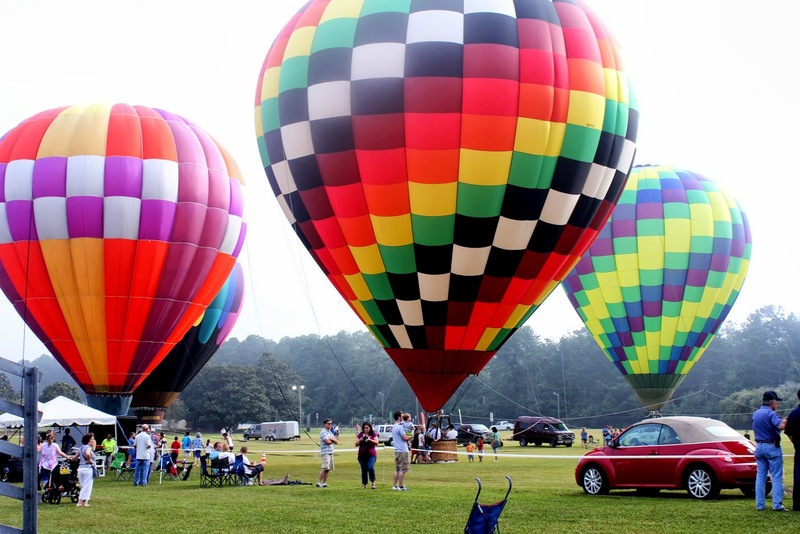 They’re the kind of friends who are totally on board with waking up six kids at daylight to see a spectacle of color against a misty morning sky. 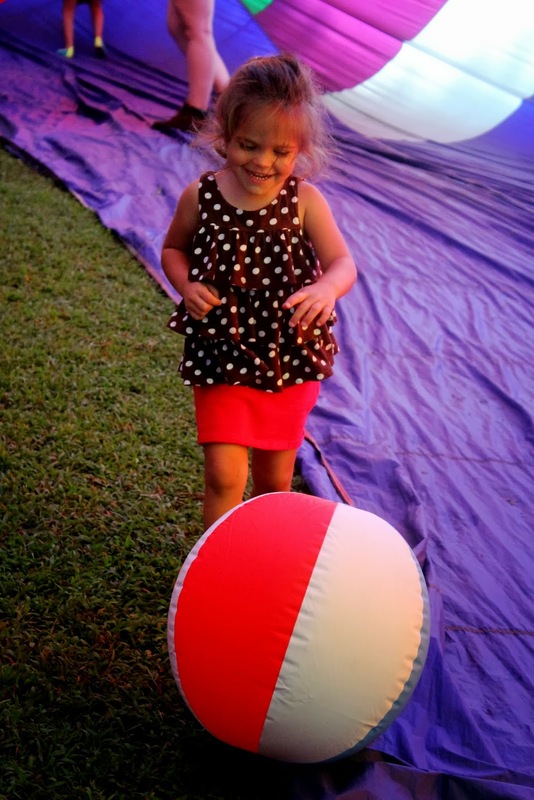 The downed balloon beachside was called “Freedom Walk” and inside children squealed and floundered on the grass with beach balls. The air was close and humid, but the vision was breathtaking, a kaleidoscope of colors that burned brightly as the morning sun rose higher. 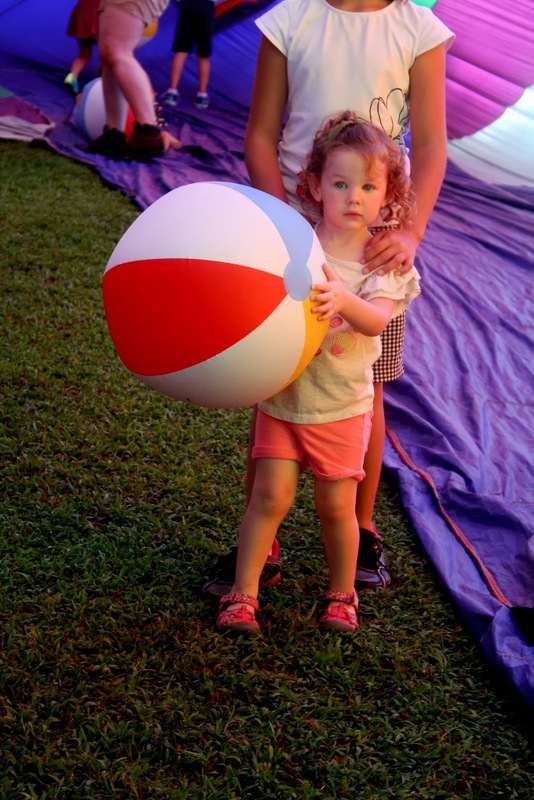 We picnicked and swam and for the first time all summer, my children could play with their daddy. He’s made a near full recovery. It’s amazing how quickly we can forget what really matters. I’d been drowning in a sea of hopelessness and I’d forgotten that for a time before this summer began, I had realized just how precious life can be. 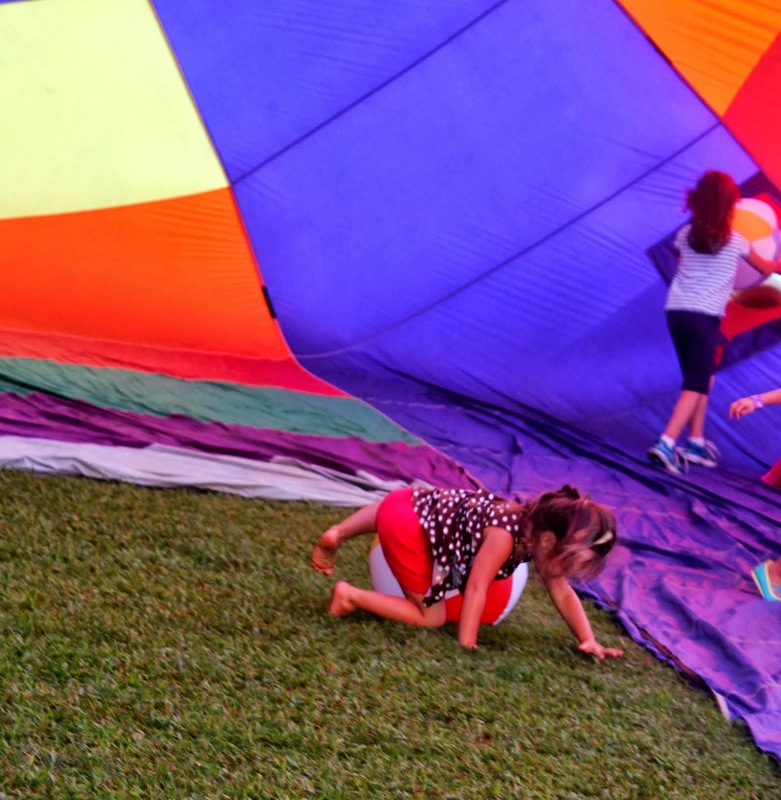 After Amelia and I rode that hot air balloon in June, I realized it was the fire that lifts those balloons into the air to catch a breath of wind and fly away. And as much as I’d like to believe it so, that’s never a spontaneous act. It’s carefully planned and considered and just the right amount of fuel is used to carry that brightness into the sky. So the same for us: these fires that seem so insurmountable in life? 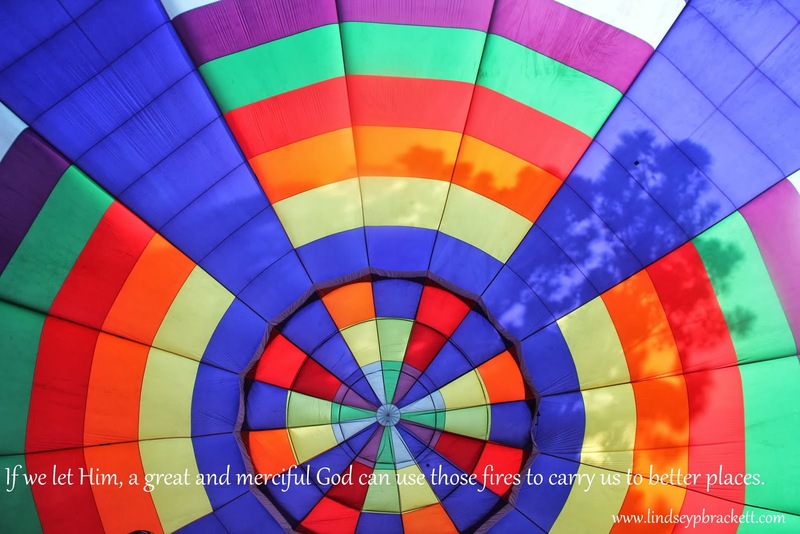 If we let Him, a great and merciful God can use that fire to carry us to a far better place. Joining with Crystal Stine and an amazing community of women this week who dare to bare the soul behind the pictures. Tell me, what’s behind your scene?